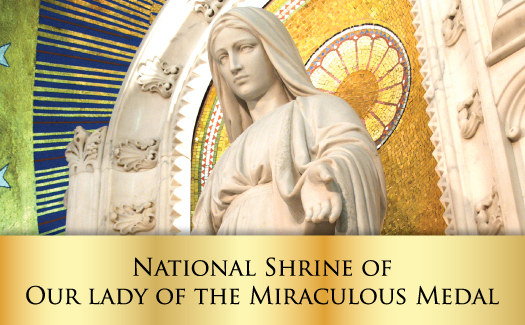 Intentions to be remembered in the daily Mass at our Lady's Shrine. 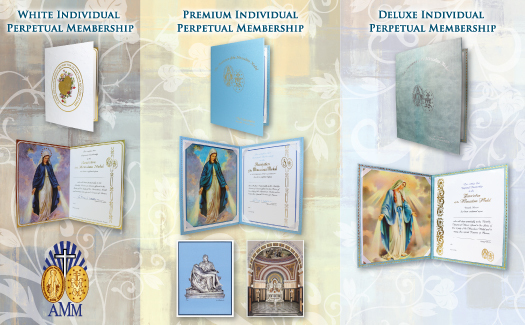 Enroll someone in the Association with a Perpetual Membership. 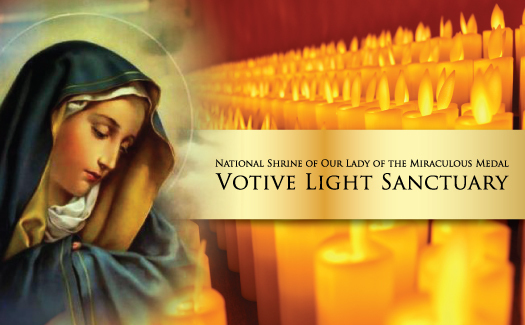 Light your Votive Lights today! 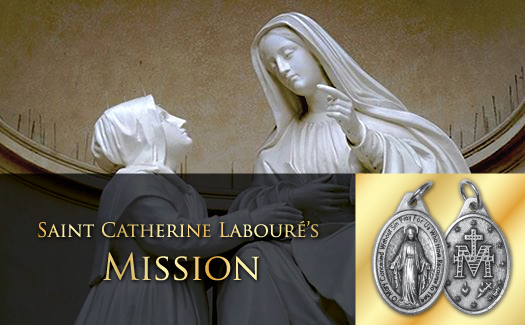 Learn about Saint Catherine and the mission given to her by our Blessed Mother. Click here to enjoy the full screen experience! 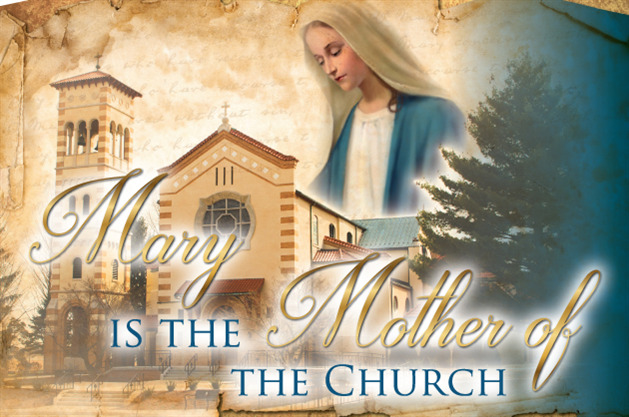 Click here to read more about Our Lady's Call! 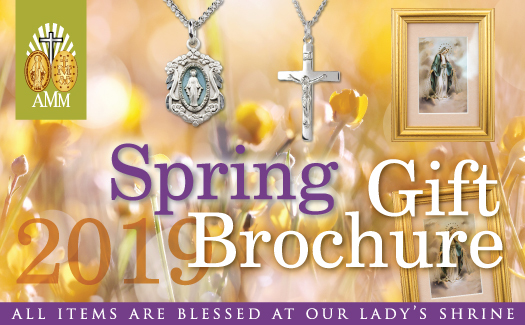 Click here to order your new Spring gifts today! I give you a new commandment: Love one another. Such as my love has been for you, so must your love be for each other. Click the photo below to see the progress! Thank you to the hundreds of generous families who have made this restoration possible. Thank you for your continued understanding as we work around the schedule of our contractors, electricians, painters, and finishers. As you can see from the pictures, it is really needed. 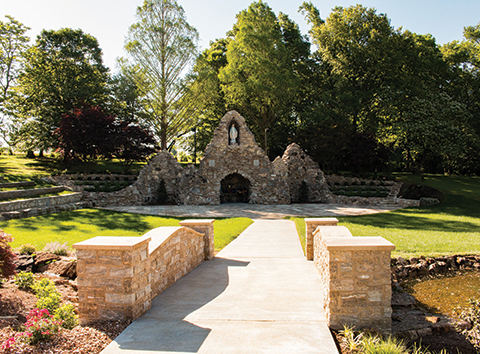 If you haven't had a chance yet and still want to be a part of this once every hundred year restoration, there are still some beads and benches along the Rosary Walk that are available for naming. If you have questions or you are interested in supporting the restoration campaign, please call 1-800-264-6279 and ask to speak with Sherry Clark, Krista Koishor, or Pat Vetter. 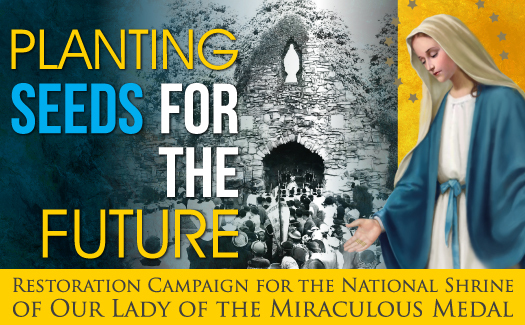 The Association of the Miraculous Medal would like to thank you for your support and understanding as the restoration campaign moves forward. Click here to view our weekly updated photo gallery of the current renovations! 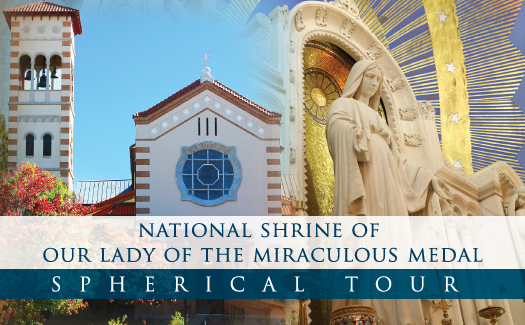 Please call 1-800-264-6279 and check on tours of the church before you plan your visit. Answering the Call - We Need You! 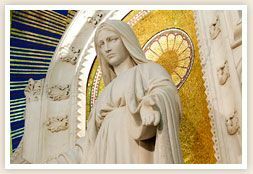 Click here to read more about Our Lady's Call and enjoy our videos about the restoration below! 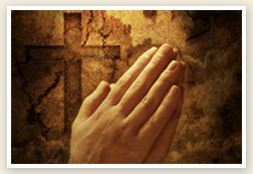 Please join the Association in praying for those whose lives were lost during the recent flooding in Nebraska, Iowa, and Missouri, and for those whose homes and businesses have been destroyed. With more rain and flooding predicted in the days ahead, we pray for the safety of all those in the path of this disaster, especially those in the Midwest and the Mississippi River Valley. 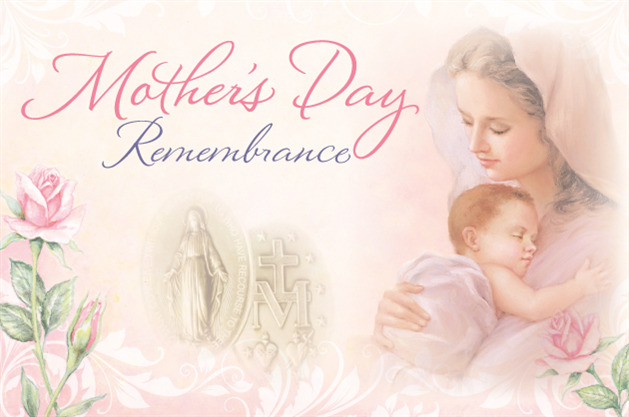 May God bless those touched by this devastation, and may our Blessed Mother help nurture and care for those in need of healing in the weeks ahead. 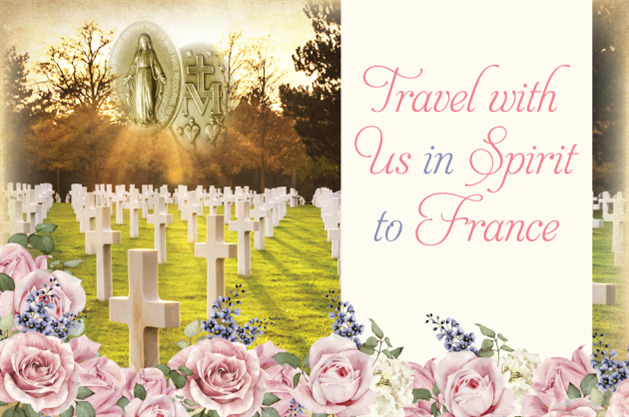 France - Normandy, Lourdes and More! 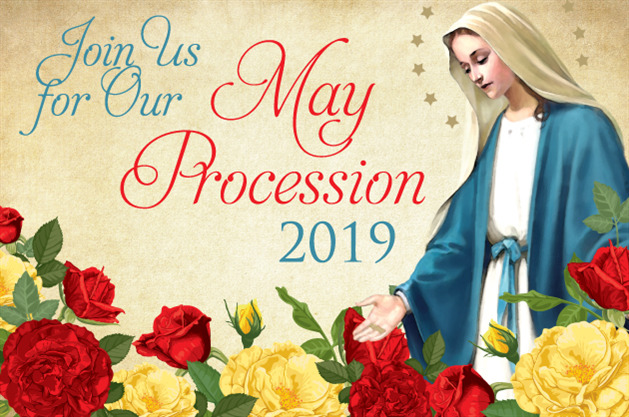 May 2019: LIMITED SEATING! Christmas Cruise - Hungary, Austria, Germany and More! Call the Association office at 573.547.8343 or click here for details and itineraries. 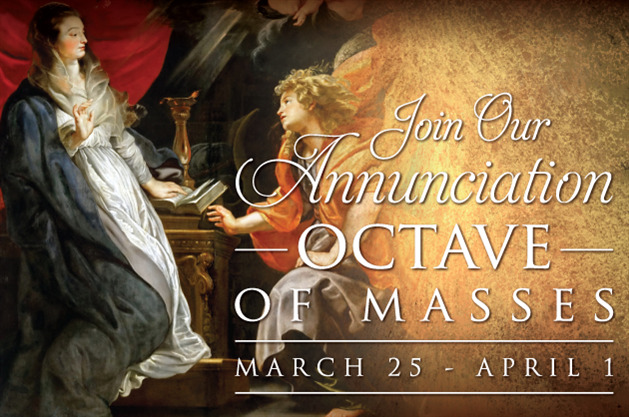 Please join us at 11:55 a.m. each day as we say the "Angelus" for all Association members. 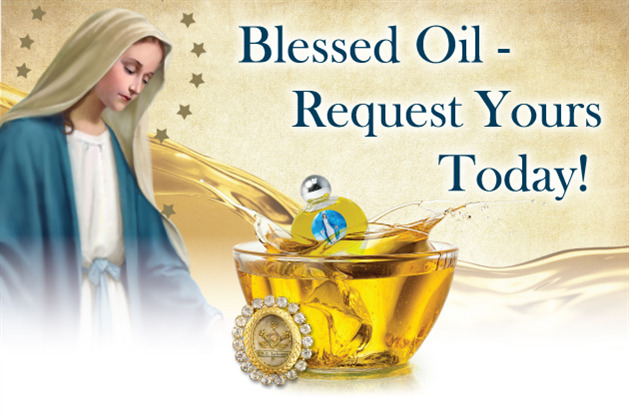 Blessed Oil - Request Yours Today! 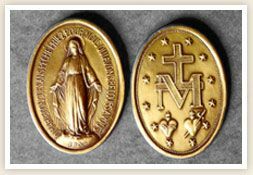 The Association of the Miraculous Medal is seeking volunteers to help in a variety of ways!